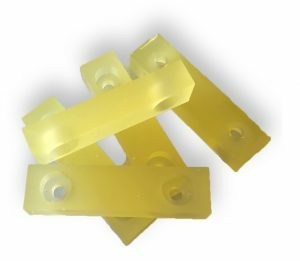 Polyurethane cable saddles are used for supporting cables and hoisting in various applications. Plan Tech’s polyurethane cable saddles come in different diameter, weight, length and choker capacities. Plan Tech only uses pure polyurethane in the production of rubber cable saddles because it significantly outperforms rubber and steel. Are you interested in cast Polyurethane Cable Saddles? Please Contact us so we can help solve your requirements and work with you on your specific application!